Forgot Yahoo Mail Password? How To Recover It? The giant search engine “Yahoo” is based out in America. Yahoo is a popular web portal, email service provider, a media house and web directory. Millions of people visit Yahoo websites every month and use its services. Users of Yahoo, at times, may confront problems related to password. Forgetting the yahoo mail password to a Yahoo ID is not a good experience, particularly given how integral a Yahoo login is for users. Users experience Yahoo password issues due to various reasons such as forgot password or id, account locked, screen loops or reloads, account got compromised or used by someone else, etc. 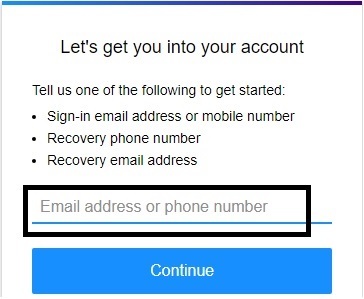 Follow below mentioned simple steps to fix these problems and reset/recover your yahoo mail password in a hassle free way no matter which platform you are using – be it web browser, Android app, iOS, Windows or Linux. How to Recover Forgotten Password of Yahoo Mail? You have been shortlisted for your dream job. You will be notified by an email anytime. But what’s just happened? You don’t remember your Yahoo! Mail account password – how will you get your hands on the most anticipated email? Before you lose your calm, you need to go through this article, which will be a great help if you have an alternate email ID or phone number added to your Yahoo account. There are two ways to recover your forgotten password of Yahoo! Mail. You must visit the Yahoo! Sign-in Helper Page. Locate the space where you will be required to enter the email address or phone number. If you are using your email address, just providing username would work fine (username comes before @yahoo.com). How to Recover Your Yahoo! Mail Password through Mobile Number? If you choose to go with the mobile number associated with your Yahoo! Mail account, you must ensure that you have the number with you to access codes through text messages. 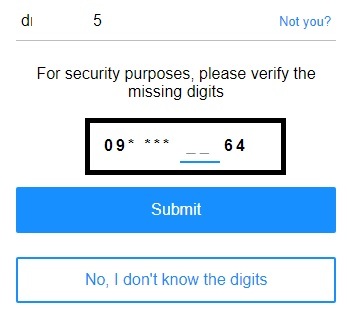 Verify the missing digits by entering the correct numbers as prompted on the screen. If you do, select Yes, text me an account key option (in case, you don’t have access to the phone, choose I don’t have access to this phone). This will lead you to enter the Account Key that you receive through a text message. It also verifies that you have this phone. Click the Verify button to succeed in accessing the next page that says Success. You can now set a new password. (Make certain that the password has not been used before, even on other accounts). For users having personal computers can choose to show password option to check the new password and confirm new password are correct. And click Continue. How to Recover Your Yahoo! Mail Password via Secondary Email Address? Don’t have a phone number added to your email ID? Not a big deal! 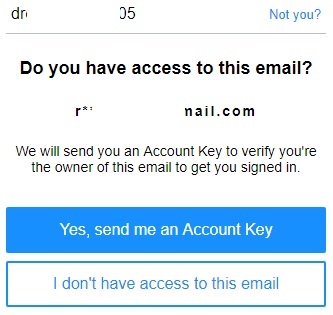 Select Yes, text me an account key option under Do you have access to this email? Enter the account key that you received via email. Not Having Access to Either Phone Number or Alternate Email Address? This could be little tricky as you may have to answer the security questions (that you have chosen while creating the email address) or contacts in your Yahoo! Mail address book. Succeeded in recovering the password? You always have the authority to change it as per your convenience, but remember to use a strong one. What to Do When the Automated Process Fails to Recover Your Yahoo! Mail Password? This is unfortunate, but the world’s not ending here. Go to Yahoo’s community help and post your query only to receive an answer from the experts. For that, you need to create an account for Yahoo! Help Community section. Or else, you can prefer posting your problems on the Yahoo’s social media pages like Facebook, Twitter, YouTube, etc.